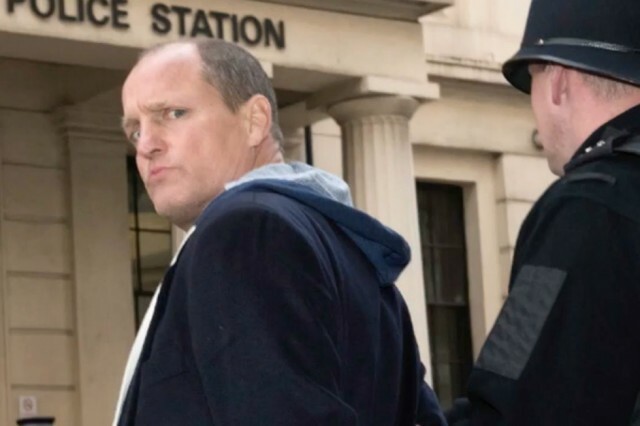 Woody Harrelson loves to surprise. His film and TV work ranges from the unflinchingly dark and critically acclaimed – think No Country For Old Men (2007) and True Detective (2014) — to the blockbuster — Hunger Games (2013–15) – to the undeniably funny — Kingpin (1996), Cheers (1985–1993) — and sometimes odd places in between — Natural Born Killers (1994). But then you knew that. Not just a household name in terms of entertainment, Harrelson is also a high profile advocate for issues ranging from eco-farming to cannabis legalization. As a result, he’s become a kind of modern-day-counterculture-renaissance man; replete with (it’s true) an avocado farm and organic vegan craft beer garden. His latest idea was the frankly bonkers plan to recreate an episode from his life, Lost In London, in one, 100-minute unbroken take, with one camera, a cast of hundreds (including Owen Wilson), 14 locations, and broadcast it live to cinemas across America and London in January of this year. The glowing Guardian review called it a “miraculous oddity [...] that fuses technical wizardry with self-deprecating satire”. As the Texas-born Harrelson prepares to screen Lost in London in Liverpool’s FACT cinema this Saturday, along with a live Q&A, we grabbed him to talk about how this madcap, directorial debut came into existence, plus his love of Henry Miller and Fellini, and the need for persistence in art. The Double Negative: So Woody, talk to us about Lost in London: where did the idea come from? 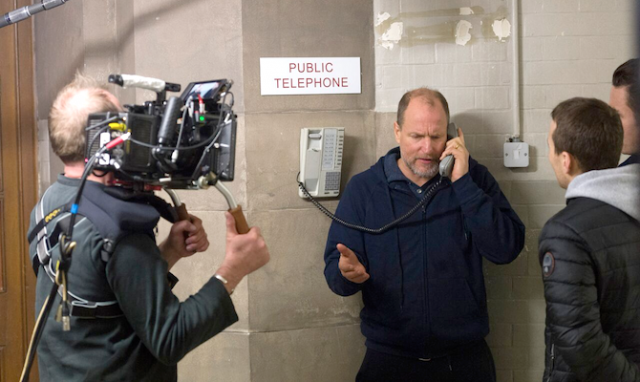 Woody Harrelson: Well, it was an autobiographical thing, this experience I had and at first I just wanted to forget about it, but then I thought about documenting it in some way. So I wrote an early draft. It was terrible. I kept working on it. Then I had this idea of shooting it in real time; it all takes place kind of sequentially of an evening. It would be great. I was always fascinated by that kind of thing: plays that you just follow from the beginning to the end of it — just one scene and that’s the end. Part of it was that I love theatre and I love film, and the thought of bringing the two together. I guess if I’m just shooting in real time, like Victoria or Russian Ark or something, then that doesn’t really do it. There needs to be a live audience and then that’s when I got the idea: oh my god, I could live broadcast this thing as I shoot it. I don’t think I realized the enormity of the work that that was gonna be, but I like how it turned out. Was it fun, breaking rules and taking film in your own direction? I guess it was fun when it was done? It was super hard work. I never worked that hard in my life and I never intend to again. I’m a good worker, a hard worker, but I’m a slacker at heart. I guess I couldn’t have foreseen how hard it would be, even though people did tell me, mostly people said it wasn’t possible. So, a more theatrical approach. Are there any filmmakers that you particularly admire, maybe you wanted the film to look and feel like? I wasn’t emulating anyone’s style so much, I don’t think. I had some very clear ideas of what I wanted from it. I mean, there are plenty of filmmakers I admire, maybe there’s a touch of Fellini in there, in some ways, but not too much really. More of an experiment then? Yeah, definitely. I’m always fascinated by two things. I love a sidewalk painting, something in the street that’s just captured in that moment. This is kind of like that, except it’s going to survive because we filmed it. There’s things I would have done differently, but in the end I’m proud of it and I have a lot of hope that people will like it in Liverpool (I love that place, I had a great time there before now). It’s a personal project, I wrote, directed, acted and produced it, and also it’s a very personal story. The other thing I love, probably my favourite writer, is Henry Miller. I just love how he expresses the autobiographical, and many times you can’t believe he’s telling you this about himself, it’s not flattering. It’s the same, there’s a lot in this that doesn’t speak well of me but it’s an honest portrayal of my life in that moment. Do you see a separation between Woody Harrelson as an artist and as an activist? I don’t think it would be very fair to call myself much of an activist. I haven’t been very active. There’s a lot of people who have been working very hard for things. I think the thing I’m worried for more than anything is the environment and the war machine in the hands of our present administration. From an outsider’s perspective, and through most of your acting roles, you’ve developed a reputation as one of the good guys; do you enjoy that? Well I’m glad to hear it! I can’t remember what show it was but Meryl Streep did that speech where she said, you know, all the people that are referred to as “Hollywood”, that’s all individuals. There’s a lot of very cool, accessible people, but I definitely don’t feel part of that, I live very much outside of that life. Do you have any words of advice for aspiring filmmakers or actors that might read this? Well yeah, I think the main thing is to believe in yourself. If you don’t then you’re already lost. Also you have to persist. I can’t tell you how many people I’ve talked to — like the producer on this Han Solo movie [Harrelson has confirmed he will play young Solo's captor and "cruel" mentor Garris Shrike in the second stand-alone Star Wars anthology film following Rogue One: A Star Wars Story, which be released 25 May 2018] last night, she told me her story and it was unique — but there’s a lot of stories and a lot of them begin with someone saying “I’m gonna make it in this business, in entertainment”,and 99% of people shoot them down. I remember working as a bricklayer’s assistant and going to New York and being told to stick around, to learn the trade. I had that moment: “Maybe I should, just in case”. But of course, then I went to New York. And that’s everybody’s story, being told they’re not going to succeed.